Sue Kruse has been a member of TCSHRM since 2008 serving on the Professional Development team, the Mentoring program, and as a Team Lead for Programs. She joined the board in 2013 as the VP of Programs. Sue is currently a Regional Manager for Perkins and Marie Callender's Restaurants. She has over 15 years of progressive human resource experience in organizational development and expertise in coaching others to tap into their strengths to leverage continued success. Sue holds a Bachelor of Science business degree from St. Cloud State University in Management and has been SPHR certified since 2009. Sue Kruse is Senior Director of Training and Development at Perkins and Marie Callender's Inc. PMCI operates and franchises over 500 family restaurants throughout the United States and Canada. Kruse has over 20 years of experience increasing revenue, profit margins, individual, and operational performance. She is a strategic thinker with expertise in mentoring, developing, and coaching others to tap into their strengths to leverage continued success. Kruse is an active in the industry as a member of the CHART and Twin Cities SHRM. Specialties: Sr. Director of Training and Development, SPHR, executive development, strategic planning, succession planning, multi brand, performance management, organizational development, profit building, team leadership, talent management, change management, strengths development, LMS implementation, field human resources, university development, project design, franchise relations, interpersonal skills, instructional design, new store opening, multi-unit management, and conferences. Carrie Patton is the Director of Human Resources for the law firm of Winthrop & Weinstine, P.A. In this role, Carrie leads the Human Resources team and guides the firm both in its overall human resources strategy, as well as day-to-day tactics. Among her responsibilities are compensation and benefits; policy development and administration; employee relations; performance management and recruiting. Carrie has more than 20 years of experience in the human resources profession, and has worked with a diverse range of companies and industries. Carrie is an active member of the Society of Human Resources Management (SHRM), where she currently serves the Twin Cities chapter as a member of the Board of Directors and Immediate Past President. 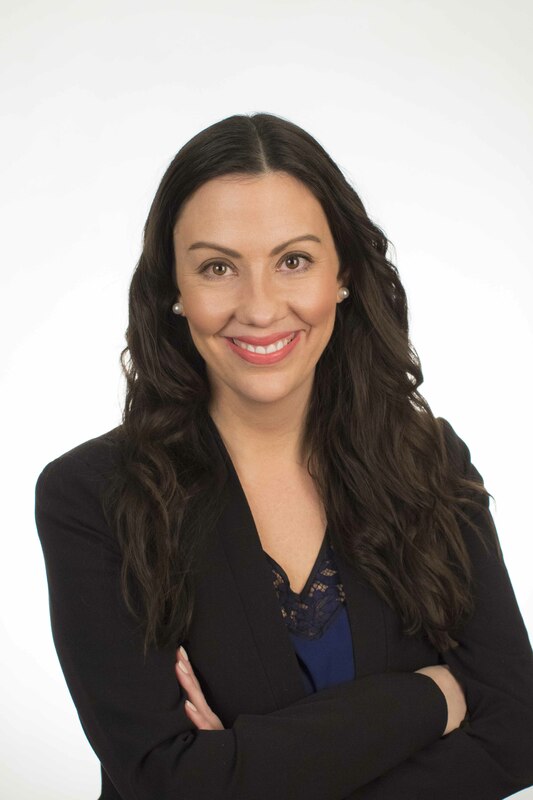 In addition, she is Treasurer of the Minnesota SHRM State Council..
Carrie earned her Bachelor of Science degree in psychology from Bemidji State University, and her Master’s Certificate in Project Management from The George Washington University School of Business. She is a SHRM Senior Certified Professional (SHRM-SCP), and certified as a Senior Professional in Human Resources (SPHR) from the Human Resources Certification Institute. Emily Savaria joined TCSHRM in 2011 and has been a member of the Board of Directors since 2017 as the VP of College and University Relations. Emily spent four years in Human Resources prior to her current role as a Senior International Marketing Analyst at Loram Maintenance of Way, Inc. She holds a Bachelor of Science Degree in Human Resources and Business Administration from Winona State University. She has been PHR certified since 2013 and SHRM-CP certified since 2015. Erin Rubi has been a member of TCSHRM since 2015, and during that time has served as the team lead for both the Volunteer Engagement and Mentor Program teams, and participated as a member on the Spring Conference and GALA team. Additionally, she functioned as the interim VP of Volunteer Engagement during a maternity leave. She was awarded the 2016 Volunteer of the Year Recognition for her contributions. Erin graduated from Saint Mary’s College of Notre Dame with her Bachelor of Arts degree with a major of Psychology and minor of Mathematics. Since 2010, she has supported organizations with training and development, recruitment, performance management, employee relations, and account management. After many years in retail, she joined Robert Half HR Services in 2015 and provides HR thought leadership to twin cities organizations. She is a forever student of HR, and finds TCSHRM invaluable in keeping her abreast of the changing landscape we all face. Erin is currently pursuing her SHRM-CP certification. Melissa Hoepner has been a member of TCSHRM since 2003, serving on the Programs Team since 2013. She joined the board of directors in February 2017 as the VP of Programs and transitioned to VP of Legislative Affairs in 2018. Melissa is an HR Consultant for Salo. She has over 20 years of progressive Human Resources experience, helping companies navigate change, optimize HR processes, build company culture, and drive business outcomes. Specialties are: Human Resources Manager, Human Resources Business Partner, Talent Acquisition, Recruiting, Employer Branding, Employee Benefits, Wellness, Performance Management, Coaching, Employee Relations, Employee Engagement, Project Implementation. Melissa holds a Master of Arts in Organizational Management from the University of Phoenix. Jessie Novey has over 14 years of human resources and management experience that spans start-ups and established organizations. She has hands on experience leading and supporting HR initiatives including talent acquisition, HRIS implementations, training and development, organization design, leadership development, succession planning, employee relations, affirmative action, performance management and career progression. Jessie is currently employed at C.H. Robinson as a Sr. Human Resources Business Partner where she is responsible for supporting a team of executives, managers and their staff. Her primary focus is leadership development, employee engagement, succession planning, organization design and compensation management. During her short time with C.H. Robinson, Jessie is most proud of her ability to successfully manage and administer C.H. Robinson’s global employee engagement survey. Prior to working at C.H. Robinson, Jessie held human resources positions with Atterro, Mortenson Construction, Digital People and Castle Kitchens. Jessie earned her Bachelor of Arts degree from Winona State University. She holds a Professional in Human Resources (PHR), and is a member of the Society for Human Resources Management (SHRM) and Twin Cities Society for Human Resources Management (TCSHRM). Furthermore, Jessie was a member of HR Connection (http://www.hrconnection.net/) for two years. As a member of HR Connection, Jessie had the opportunity to meet monthly with similarly situated HR Professionals to discuss best practices and hot topics. This membership gave Jessie the opportunity to network with other local HR professionals, gain insight from other professionals and share her knowledge. Aside from her love for leadership development and employee engagement, Jessie has a strong passion for working with students and young professionals. While working as a Sr. Talent Acquisition Specialist for Mortenson Construction, Jessie managed and lead their campus recruiting program. This position gave Jessie the opportunity to travel to colleges and universities throughout the U.S., establish relationships with students and faculty and launch careers for young professionals. Since leaving Mortenson Construction, Jessie has remained active in volunteering her time with students and young professionals through a few different non-profit organizations. Specifically, Jessie has volunteered with bestprep (https://bestprep.org/), Resource (https://www.resource-mn.org/media-page/career-compass-for-students-with-disabilities/) and is currently a mentor through TCHSRM. Through her relationship with TCSHRM, Jessie recently volunteered her time to judge a student case completion at the U of M Carlson School of Management and network with students at the fall student conference. Becky joined Twin Cities SHRM in 2010 and began volunteering on the Member Engagement & Retention Team, primarily focusing on New Member Orientations. She later became a Team Lead for two years and joined the Twin Cities SHRM Board as the VP of Communications in January 2016. She spent the second half of 2016 in the VP of Volunteering board role and became the VP of Membership in January of 2017 and is still serving in that capacity. In 2016 she was awarded the MNSHRM Twin Cities SHRM Chapter Volunteer of the Year. Becky graduated from the University of Minnesota Duluth with a Bachelors of Business Administration degree with majors in Human Resource Management and Organizational Management. She currently is the Human Resources Manager at Conservis Corporation. Becky has been PHR certified since 2012 and SHRM-CP certified since 2015. Briana joined TCSHRM in 2010 after graduating from UW-Madison with a Bachelors of Business Administration degree. She has served on the Programming Team, Spring Conference team, and has lead the Webinar Team. Briana was awarded volunteer of the year for 2013/2014. Briana joined the board in 2015 as the VP of Finance and has been the VP of Professional Development since 2017. Briana is currently employed at MTS Systems Corporation as a Human Resources Business Partner. She partners with mid and senior level management to provide consultative human resources support, ensure alignment of business objectives, work cultures, and human resources programs/policies to facilitate the company with achieving its business goals while minimizing risk. Briana has been PHR certified since 2012 and SHRM-CP certified since 2015. Mike joined the Board in 2017 as the VP of Sponsorship. He is currently the Regional Manager for Netchex, a fast growing HCM Technology Company. Prior to starting the MN market for Netchex, Mike spent nearly 5 years at ADP, the world’s largest payroll provider. During his 7 years in the technology industry, he has helped more than 50 companies implement an HCM solution. As the VP of Sponsorship, Mike is dedicated to providing a great experience for our sponsors, and members alike. Please reach out directly to him if you would like to inquire about sponsorship opportunities. Katie Bjorkman has been a member of TCSHRM since 2016, serving on the Legislative Affairs Team. She joined the TCSHRM Board as VP of Volunteer Engagement in August 2018. Katie is currently the Enterprise Excellence Project Manager – Human Resources for Ecolab, the global leader in water, hygiene and energy technologies and services that protect people and vital resources. With 48,000 associates, Ecolab delivers comprehensive solutions and on-site service to promote safe food, maintain clean environments, optimize water and energy use and improve operational efficiencies for customers in the food, healthcare, energy, hospitality and industrial markets in more than 170 countries around the world. In her current role, Katie is responsible for leading and executing strategic programs and projects within the HR function. Beyond executing projects and delivering cost savings, Katie has a passion for enabling HR talent around the world by building project management capabilities through training and coaching new part-time HR project managers. Katie has worked at Ecolab since 2012 and has held various positions during her time with the company in Employee Relations and Compliance and as a HR Business Partner supporting remote field sales groups. Prior to Ecolab, Katie worked in various Human Resources positions with Deluxe Corporation, Merrill Corporation, and Spanlink Communications. Katie earned her Bachelor of Science degree in Human Resources Management and business administration from Winona State University and is pursuing a Master of Arts degree in Human Resources Management from Saint Mary’s University of Minnesota. Brandon Raaf joined the TCSHRM board in August 2018 as the VP of Workforce Readiness after serving as a volunteer on the sponsorship team since 2017. Brandon is a Senior Consultant at Aon, a leading global professional services firm providing a broad range of risk, retirement and health solutions. Specialized in employee benefits, talent and rewards, he helps mid-size employers maximize their human capital investment through innovate strategies focused on technology, engagement, wellbeing and financial efficiency. Brandon studied Business and Marketing Education at the University of Minnesota Twin Cities. Krysta Kaner has been involved with TCSHRM since she was an undergraduate student at the University of Minnesota. Her involvement with the UMN SHRM chapter led her to attend the annual TCSHRM Student Conferences and later to receive the TCSHRM Student Scholarship. Post-graduation, she joined the College & University Relations volunteer team where she served for several years. In 2018, she led the annual Student Conference event and was honored as TCSHRM Volunteer of the Year for her contributions. She now serves as the VP of Young Professionals, which is responsible for engaging young professionals through the Mentoring Program and the Young Professionals Advisory Council. Krysta has five years of human resource, organization development, operations and leadership experience and currently works at Liberty Diversified International as an Organization Effectiveness Business Partner. She holds a BA in Communication Studies, a BS in Human Resource Development and a Management Minor from the University of Minnesota. She is currently pursuing an MA in Organization Development & Change from the University of St. Thomas. As a dedicated volunteer, Katie has served as the Member Orientation Team Lead, part of the Member Engagement and Retention team, VP Membership and VP Volunteer Engagement for TCSHRM since 2009, has coached youth sports at the YMCA, volunteered with People Serving People and the American Heart Association.Katie is a results-driven people manager with extensive staffing, employment and account management experience spanning over 17 years. She has effectively partnered with hundreds of successful Minnesota companies to help them exceed their staffing, and recruitment advertising goals. Relationship management and execution are her strong suits, especially in listening, problem solving, consulting, and goal achievement. She is now currently serving as the Executive Director of Twin Cities SHRM.